Wisconsin's western border blends a busy variety of colorful action with stunning scenery. 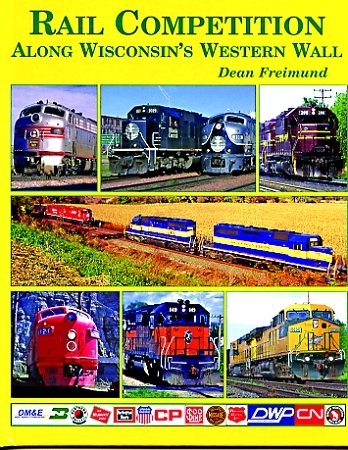 This book will fill your eyes with bold competition between rivals from Duluth in the north to Dubuque in the south. From the early 1960s on, stunning vistas near Lake Superior highlight obstacles carriers have to surmount as they faced off against each other to vie for freight and passengers. As lines bridge and follow the Mississippi River and its bluffs, nature's beauty and the carriers' diesels will tantalize your mind as you see adversaries vie for every ton and each passenger.